Here’s a free to enter poetry competition from the writer Sally Jenkins’ blog- inspired by Brexit? Feel angry, happy – tell the Holland Park Press about it in a poem. if the link above doesn’t work in your browser. and should be a maximum length of 2,000 words. Thank you to Dionne Hood the Library Services creative workshops and other events co ordinator for buying my book for the Libraries and I notice someone at Ilkley Library has borrowed it already- very excited by this. from L to R Debi, me at table, Carrie behind me, Emily and Judith- a lovely group of ladies who have some real talent in writing. We are using this photo on twitter @SaltaireCraft to promote the creative writing competition. if you peer closely you will see in faint gothic font the authors’ names by the decade they have written a story for. Wordsmag – free ezine- with comps – raises funds for the Lifeboats- I have a story in their latest mag…other news- poetry anthology out with Mark Connors/drabbles and classes. Issue 97 contains my story, Ride of a Lifetime. pdf version is fully printable should you want.” says editor Shaun Peare. You can email to ask the editor Shaun Peare for a free pdf of the mag or if you wanted to support the charity through the Words mag, you can subscribe at the cheap rate of £6 a year. Words mag and Shaun also run twice yearly FREE to enter short story competitions- http://www.wordsmag.com/compcal18.htm the next free to enter comp has the theme of Murder. You get a dozen stories to read and enjoy and my one is an extended version of a short flash piece set in Bridlington in winter at the fairground. “Come on Harry! You too old to have a laugh?” Jim’s words stung. balding bloke with a worn, creased face. draining him dry with her demands. He couldn’t earn enough to pay her debts. guessed and the company car. times. God knows he missed that…. My classes at Saltaire Crafthouse continue to get more support https://www.saltairecrafthouse.com/Creative_Writing_monthly_drop-ins.htm and the monthly drop ins is now full at 10 people, we can’t fit in any more bodies in the basement. I am delighted about this. I am planning an ebook with this group’s fiction hopefully in spring 2019. Design by Antonio Martínez Arboleda. I am running a creative writing competition in conjunction with the Saltaire based Craft House, with myself judging the Flash Fiction and local poet Mike Farren, judging the poetry side. It is FREE to enter and there are prizes. So why not have a go? 2nd in Flash and Poetry:- a Saltaire mug and a two glass coaster set . Entries must either be posted to:- The Craft House, 101 Saltaire Road, Saltaire, Shipley, BD18 3HD or handed in person at the Craft House (normal opening hours are Wednesday-Saturday, inclusive, 10am-5pm. Entries must be entirely the work of the entrant and must never have been published, self-published, published on any website or in print, or online form, broadcast nor won or been placed in any other competition. Entrants must be aged 18 years or over. Entries by email:- must be sent by 5pm on Friday 7 December, 2018. The entries must be copied and pasted into the body of the email NOT attached as docs. You must include your name, address, phone number in the email too. Entries by post or handed in:- These must be accompanied by a separate form giving the name, address, email address and telephone number of the entrant stapled or clipped to the page with the entry on. This information must NOT appear anywhere on the entry piece. Entries must be in English, typed, single sided. Each entry should be on a new sheet. A maximum of 2 entries per category per person is allowed. Flash Fiction must be double spaced with the word count noted at the end. Poems must be single spaced with a line count at the end. Titles are excluded from the 500 word count for Flash fiction and the 40 line count for the poetry. NO corrections or alterations can be made after receipt of your entry. Prize winners will be notified by Friday 21 December, 2018 and invited to come into the Craft House to receive their prize in January. There will be a 1st and 2nd prize awarded in each category; i.e. 2 in Flash and 2 in Poetry. Winning entries will be displayed in the Craft House and posted on Alyson Faye’s blog and on social media i.e. Facebook and Twitter. There will be a prize giving event combined with the judges’ report and a q&a session on writing and getting published, on Tuesday, 8 January 2019, 2-4pm, where Mike Farren and Alyson Faye will discuss the competition entries, answer audience questions and read from their own work. There may be further publicity of the winners’ work if this is arranged by the judges. Worldwide copyright of each entry remains with the author, but by entering the competition the entrant agrees that Alyson Faye and the Craft House will have the unrestricted right to publish the winning poems and flash pieces, (including those of the runners up), on blogs/local press or at other venues e.g. libraries. Judges are unable to comment on individual entries. Judging will be fair and unbiased and each entry will be read blind. Beware of going ice skating at night…..
At 11pm the town’s rink was deserted. The McGuire sisters were there alone and illegally. This is the latest horror/thriller from Australian writer Deborah Sheldon, just published on 3 September, 2018 from IFWG Publishing and is available on amazon to purchase. 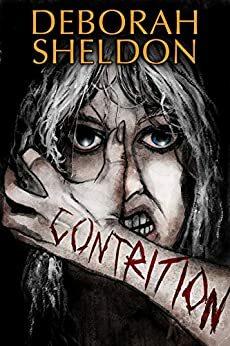 Sheldon has created a seemingly ordinary Mr Average, John Penrose, as her protagonist, however it becomes clear very quickly (and at 240 pages there is no extra fat on the bone in this tale) he lives a not so ordinary life. He might have a boring dead end job, rent in the suburbs, no friends and no social life and drink too much beer, but he has an extraordinary secret lodging with him. Both literally sharing his rental home and sharing his back story, set 30 years previously, which still casts long toxic shadows into the present day. The unravelling of the past when the young, shy college lad, John Penrose, meets and becomes entwined in the lives of the twins Lyle and Meredith Berg-Olsen, both of whom he loves in different ways but with deadly consequences, is slotted in beside the current day narrative describing John’s tedious existence – moving from rental house to rental house, whenever issues arise with Meredith and her behaviour. A neighbour, a single mother, Donna with a daughter in tow, takes a shine to John, and they begin a sweet, gentle courtship but in the neighbourhood animals keep going missing, Meredith never goes out of the house in daylight hours, a ‘witch’ is seen outside Donna’ s windows and John learns new facts about his past from an old school mate now working for a circus performing in town. The mundanities of life are being undermined. This is a pacy, exciting read with strong horror content and some gruesome scenes which are well written but not for the faint-hearted reader. If you don’t like shocks and scares this is not for you. There are noir currents at play here too, John Penrose is very much a man trapped by his femme fatale and one fateful act carried out one long ago summer’s day, which changed his life and from which he cannot get out from under. The guy just never catches a break. You’re hoping he will turn things around, but just like for Elisha Cook, Jnr in all those noir B movies of the 1940’s, you know deep down, it’s not going to happen. The talented and prolific horror writer Stephanie Ellis- has a number of books out and more to come- here she shares one of her creepy stories- a lesson in how to write folk horror for those wanting to go that way- enjoy! In the next few weeks, a new story of mine, The Way of the Mother, will appear in Nosetouch Press’ Fiends in the Furrows, an anthology of folk horror. (This story is the one that will allow me to apply for HWA membership, finally!). 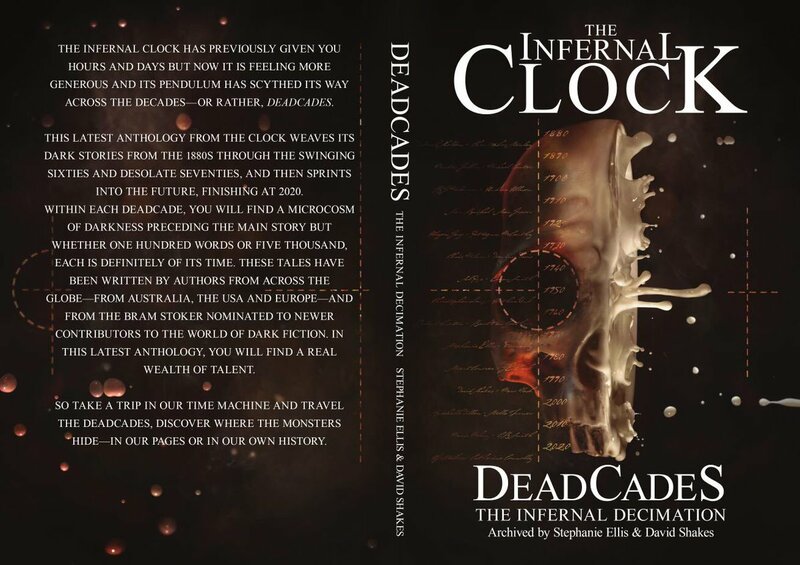 It is also a story which evolved from a world I started to create back in 2014 when I wrote The Dance, (first published in Horror in Bloom, and which I rediscovered when we needed an extra tale to go into The Infernal Clock’s CalenDark: The Infernal Almanac last year).